The action just keeps getting better and better in ONE Championship, and 2018 was the organization’s biggest year yet. When our panel looked back at the best bouts of the year, the biggest problem they faced was whittling the long list of outstanding match-ups down to a mere five. But, after a painstaking process and much debate, we can finally present our official list of the best ONE Championship mixed martial arts bouts of 2018. INCREDIBLE warrior spirit displayed by Aung La N Sang & Ken Hasegawa! At ONE: SPIRIT OF A WARRIOR “The Burmese Python” Aung La N Sang and Ken Hasegawa produced the single best World Championship bout in ONE history. From the first bell, the pair went toe-to-toe in an incredible battle of skill and will over almost the full five-round distance. Aung La N Sang and Hasegawa stood and traded heavy-handed strikes, looked for takedowns, and engaged in thrilling scrambles on the mat in an all-encompassing bout that left both men physically exhausted at its conclusion. Throughout the bout the action was relentless. Whenever one athlete connected with a significant strike, their opposite number fired back instantly with one of his own as neither man was prepared to give an inch. It meant the contest developed into an enthralling five-round war of attrition between two phenomenally-conditioned athletes. But eventually, after an incredible battle, it was the local hero who produced the bout-ending moment. He summoned up one final effort to unleash a thunderous uppercut to knock out a fatigued Hasegawa and retain his ONE Middleweight World Title in the most dramatic of circumstances. The Thuwunna Indoor Stadium exploded with joy, and fans watching around the world hailed the greatest World Title bout ever seen in The Home Of Martial Arts. It was the ultimate demonstration of martial arts at the highest level, as two elite athletes went head to head and pushed themselves to the limit for the biggest prize in martial arts. It was all that and more, and on 31 March, the pair will meet again in a rematch at ONE: A NEW ERA in Toyko, Japan. It promises to be every bit as epic. Both warriors refused to back down! Chinese star “The Underdog” Li Kai Wen and America’s dynamo Emilio “The Honey Badger” Urrutia are two of the most exciting, aggressive featherweights on the ONE roster, so when they were scheduled to meet at ONE: PURSUIT OF POWER in July, expectations were high for a good contest. They exceeded them, and then some. 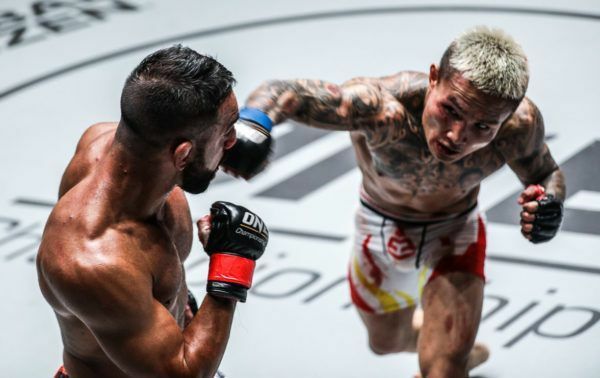 Li and Urrutia threw the kitchen sink at each other in a blistering featherweight match-up that had the crowd on its feet from the very first round. “The Underdog” started fastest and had “The Honey Badger” in trouble early on after a salvo of heavy punches dropped the 31-year-old American. But Urrutia is as game as they come, and he battled back to not only survive the round, but take the contest to his opponent as the bout drew on. But in the third round Li loaded up once again, and the 22-year-old hit the jackpot with a huge left hand that badly rocked the American. Spying his opportunity, “The Underdog” moved in and let fly with a powerful combination to first drop, then finish Urrutia, and put the seal on a spectacular win after one of the most exciting bouts of the year. Who's next for Team Lakay's Danny Kingad? 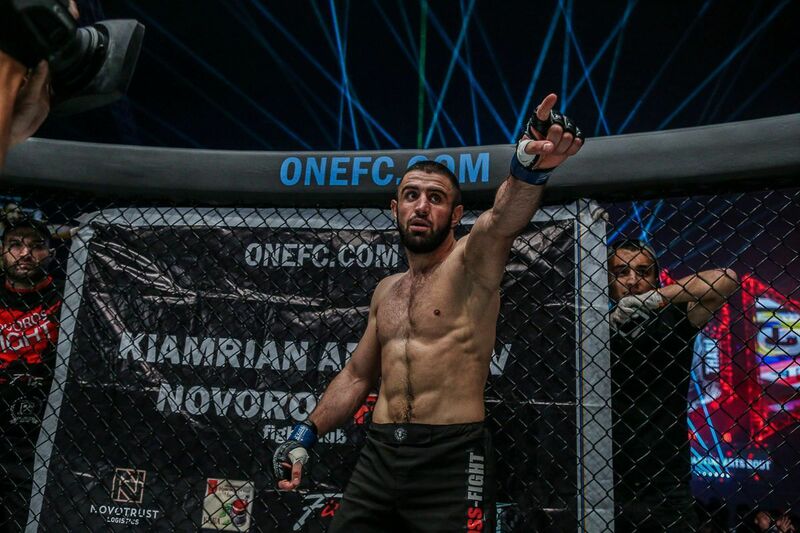 Former ONE Flyweight World Title challenger Danny “The King” Kingad needed a big performance to defeat Japanese newcomer Yuya “Little Piranha” Wakamatsu at ONE: CONQUEST OF HEROES in September. 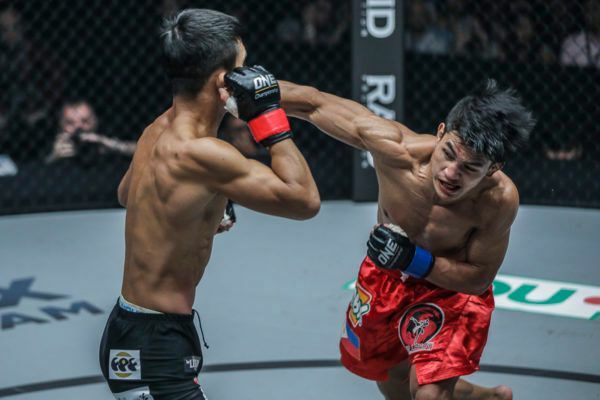 The 22-year-old produced the goods to claim the victory and cement himself as one of the premier contenders to the title held by teammate Geje “Gravity” Eustaquio. Wakamatsu showed how dangerous a contender he is with a remarkable debut display that pushed Kingad to the limit. The Japanese contender impressed with his boxing skills as he dropped “The King” in the opening round. 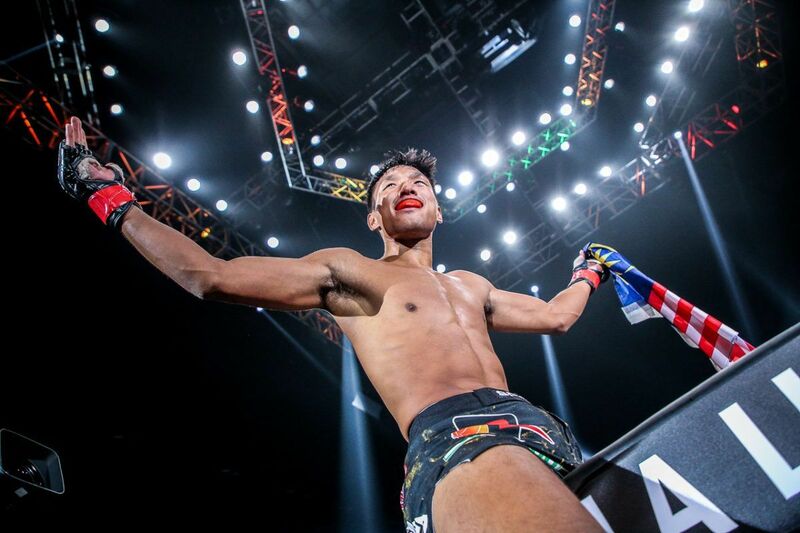 It seemed as if the Filipino star was on his way to a stoppage defeat, but Kingad showed his grittiness and will to win by scrambling his way out of danger before eventually turning the tables on his opponent with the aid of his ever-improving grappling game. He recovered to end the round by threatening to finish the contest with a rear-naked choke. Kingad turned to his wushu kicks to keep Wakamatsu at bay in the second round as he gained a much-needed foothold in the contest, and he proceeded to dominate the third and final frame with a combination of hard leg kicks and powerful takedown attempts. 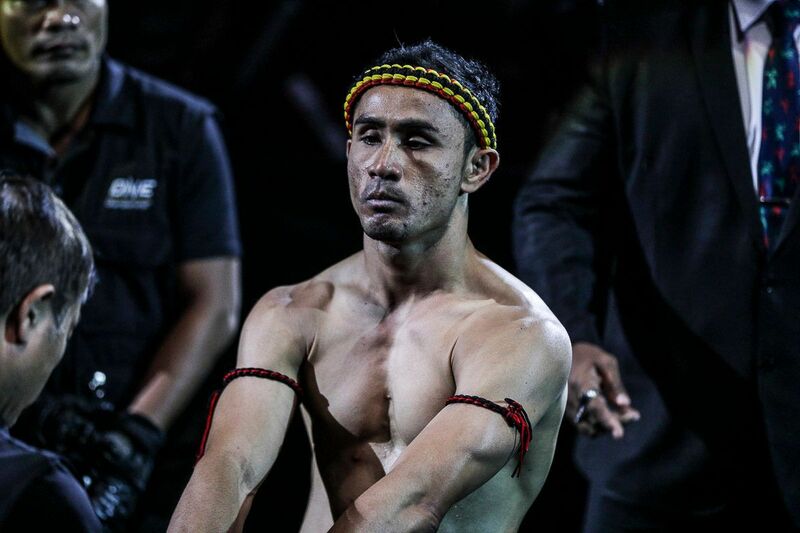 The breathless three-round battle eventually went all the way to the scorecards, with Kingad earning the verdict via unanimous decision after a bout to remember in Jakarta. Kevin Belingon SILENCED his doubters to take ONE gold! The battle between Bibiano “The Flash” Fernandes and Kevin “The Silencer” Belingon was not just a huge World Champion versus World Champion bout. It was Belingon’s opportunity to avenge his loss to the Brazilian in his first world title tilt back in 2016. “The Silencer” did just that, as he produced the best performance of his career at ONE: HEART OF THE LION to defeat the most dominant world champion in ONE Championship history and capture the ONE Bantamweight World Title in the process. Belingon showcased his famed wushu striking to its fullest, as he peppered the defending champion with strikes, both from long range via his spectacular kicking arsenal, and up close with his rapier-like punches. The biggest factor in the contest was the Filipino’s vastly-improved ground game and takedown defense, which helped him defend attacks on the ground and scramble away from Fernandes’ black-belt, world-class Brazilian Jiu-Jitsu skills. With Fernandes unable to lock up a submission, Belingon turned to his wushu to make the difference in the stand-up as he connected with a string of spectacular techniques to help sway the judges in his favor. It was tight, but he earned the split-decision win after the best all-around martial arts display of his 25-bout career. 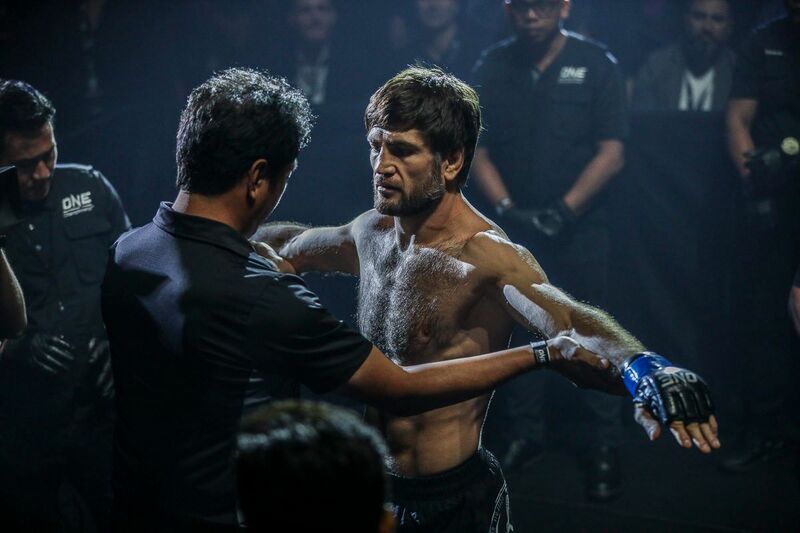 Who's next for Eduard Folayang? Our final runner-up bout took place only a few weeks ago at ONE: CONQUEST OF CHAMPIONS, as Filipino superstar Eduard “Landslide” Folayang returned to the ONE lightweight summit with a brilliant display of martial arts to defeat Singaporean contender Amir Khan. In a contest that saw both men looking to establish their striking dominance over the other, it was Folayang whose wushu-based approach proved the more effective as his combination of spectacular kicks and sharp punches kept Khan on the back foot and allowed “Landslide” to control the range of the contest. 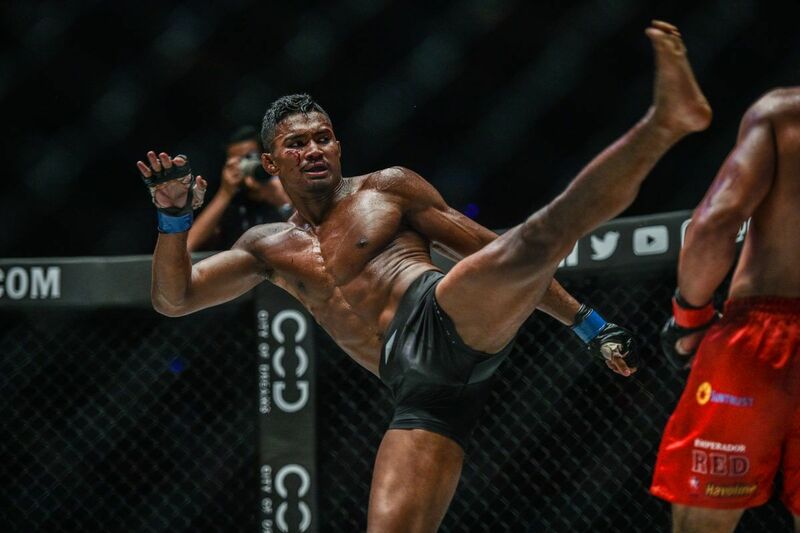 Khan looked to walk down Folayang and use his Muay Thai clinch and close-range striking expertise, but he had no answer for “Landslide’s” arsenal of strikes. He was met by spinning back kicks, turning side kicks, spinning elbows and powerful straight punches. 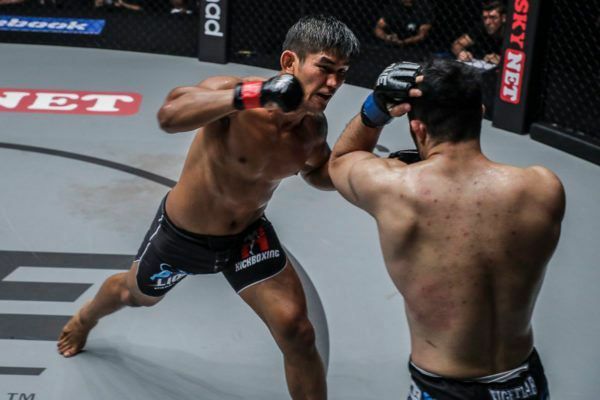 Folayang was in the zone, and would not be denied in his quest to recapture the ONE Lightweight Title he lost in 2017 as he pushed the pace throughout in arguably the most comprehensive martial arts display of his career. It earned him a unanimous decision on the judges’ scorecards and saw the ONE Lightweight World Championship return to his possession. If he can continue producing performances like that, it’s going to take an incredible display to take the belt from him again. Features What's At Stake For The Heroes Of ONE: FOR HONOR? “The King” came back from a tumultuous first round to defeat the Japanese newcomer at ONE: CONQUEST OF HEROES in Jakarta, Indonesia.